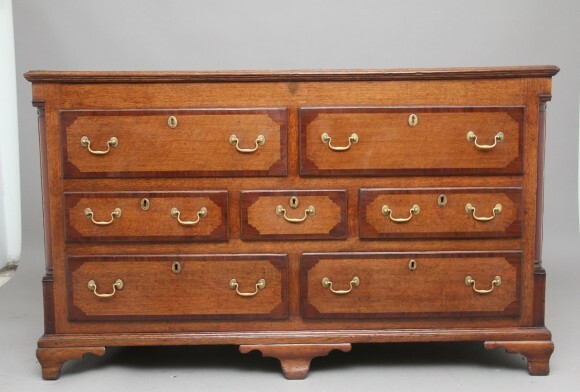 18th Century oak dresser base / chest, the moulded edge top crossbanded in mahogany above a selection of seven drawers having brass swan neck handles, the drawer fronts are also crossbanded, on the front corners there are turned quarter columns in mahogany, standing on ogee feet. This piece originates from Lancashire, England. Circa 1770.